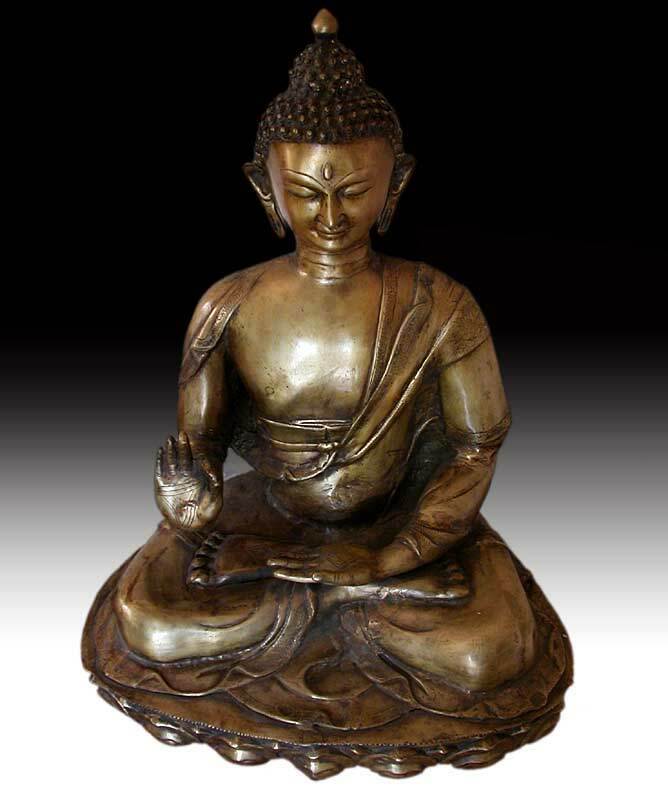 The large scale of this radiant bronze Buddha commands a powerful presence. 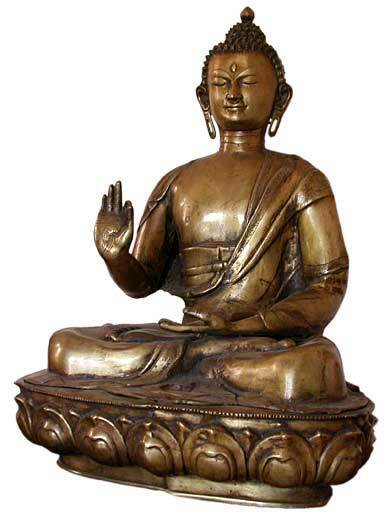 The Buddha sits on a lotus throne in meditational Dhyana asana, with his right hand in the vitarka mudra, a gesture of teaching. Large petals of the lotus open upward toward the Buddha, enclosing him in their mystic center. The bronze has been burnished to a warm glow with traces of green patina in the crevices. The design is simple, showing the plain garments in a few lambent folds which spread out on the base. The royal earlobes are unornamented; the face registers both concentration and loving-kindness. 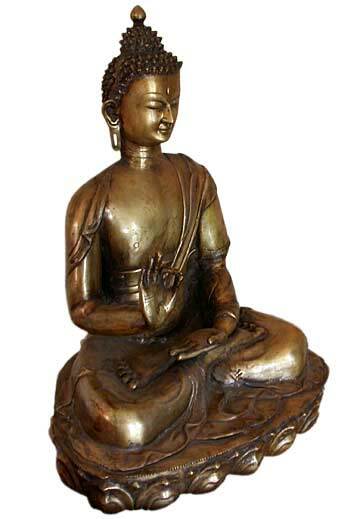 The palms of his hands and the soles of his feet are inscribed with vajra symbols. 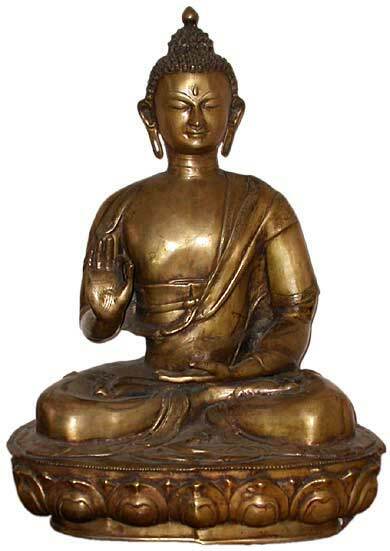 Shakyamuni is the name of the historic Buddha, Siddhartha Gautama, and is believed to have had 550 incarnations. To distinguish him from all other Buddhas, he has been named Shakyamuni, or lion of the Sakya clan, the son of King Suddhodana and queen Mayadevi. He was born on 563 B.C. at Lumbini in the western part of Nepal. He attained Bodhi, or knowledge, after six years of fasting and meditation, and then he was called Buddha, the Enlightened One.